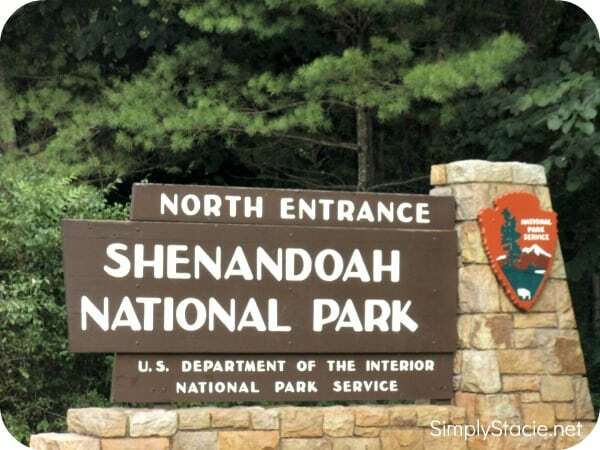 We just returned from a wonderful three week adventure that included a visit to the Shenandoah National Park in Virginia. Adventures with Jonny-Road Trip To The Parks (SRP $17.95 hardcover) by author Michael A. DiLorenzo is a wonderful children’s picture book that is packed with lots of interesting information about U.S. and Canadian National Parks. This family travel guide was very appealing to my seven year old early reader who enjoyed learning new information that he could read aloud to his younger siblings. The illustrations by Jenniffer Julich are fun and engaging too. 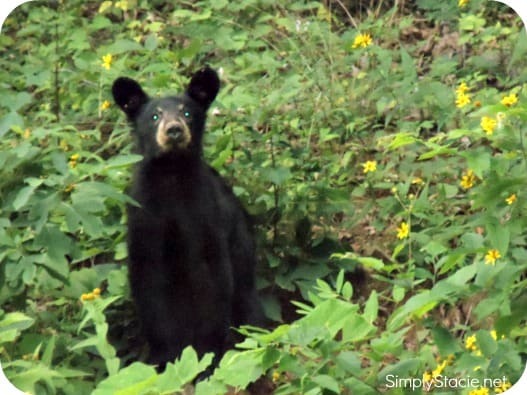 On one of our many hikes in the Shenandoah National Park we encountered a black bear that bounded across our path. Since we had already hit the visitor’s center (as recommended in this book) prior to going into the back country we knew exactly what to do in this potentially dangerous situation and the kids did not panic (though I may have for a moment). Adventures with Jonny-Road Trip To The Parks is like 3 book selections in one because it includes the adventure of Jonny and his family as your child can play along and search for hidden items in the story as well as a road trip travel guide and a neat animal guide too. If you enjoy visiting our National Parks or have an upcoming road trip planned then I highly recommend purchasing your own copy of Adventures with Jonny-Road Trip To The Parks. 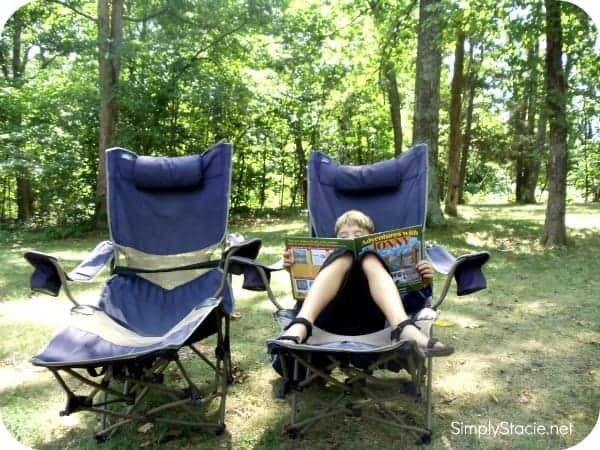 We will be taking our copy with us on all of our future adventures in the great outdoors! I would love to read Jonny Road Trip to my young ones when my granddaughter visits. We live near the park and know how wonderful it is. Glad you had a good time! My grandkids have not read any of the books and they love books. I would love to have them sothat I could read to them. My littlest loves to read and I think he would loves the book. He would enjoy this book Let’s Go Fishing. We would like to read Ice Fishing – The Coolest Sport on Earth. We would like to read Let’s Go Fishing. we would like the ice fishing-coolest spot on earth! I think my son and my husband would enjoy reading the “Let’s go Fishing” book together! We’d love to read the Ice Fishing – The Coolest Spot on Earth! Let’s Go Fishing would be fun to read. The Ice Fishing book sounds great! Thanks for all the feedback guys!! I am SO GLAD that you all love the new deigsn!!! RO ~ Thank for the insights!! I used a free pre-made wallpaper for the background so I can’t change the deigsn…hopefully it is not too hard for you to read!!! And maybe it is Safari that puts the elements out of whack…it seems fine on my Internet Explorer…I will try and figure that out tho!! !Also ~ I am adding your blog to my blogroll RIGHT NOW!!! Sorry I haven’t before…thanks for bringing that to my attention :)Thanks again guys!! Have a great New Years Eve! Let’s Go fishing looks great! I like the “Let’s Go Fishing” book too! our son would enjoy let’s go fishing, he loves to fish with his daddy! You can upload pics to the trophy wall. I learned that Michael DiLorenzo is a married father of three.